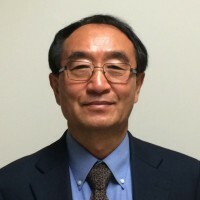 Dr. Sungho Jin received his Ph.D. degree in Materials Science & Engineering from UC Berkeley in 1974. After joining Bell Labs at Murray Hill, New Jersey, he carried out forefront materials and devices research for more than 26 years. He then joined UC San Diego (UCSD) in 2002 as a Distinguished Professor and Iwama Endowed Chair. He has retired from UC San Diego in recent years, and is currently Professor Emeritus of UCSD. His research interests and activities include functional materials such as nano materials, energy materials, magnetic materials, optical materials and biomaterials. Dr. Jin has published about 430 papers (including 10 articles in Nature, Science or Nature Materials), presented ~140 invited/keynote talks in major technical society meetings, and has ~230 US patents issued or pending. He is a member of the US National Academy of Engineering (elected in 1999), Fellow of American Physical Society (2003), Fellow of American Society for Metals (1994), TMS Fellow (2000), and MRS Fellow (2008). He received various awards/recognitions including John Bardeen Award (2007), Nano 50 Award (2005), Ho-Am Engineering Prize (2000), Albert-Sauveur Achievement Award (2009), CRS Jorge Heller JCR Award (2012), Acta Gold Medal (2016), Fellow of the National Academy of Inventors (2017). He has been serving as one of the editors for the journal Acta Materialia since 2007.